Ben Furber, Developer at thoughtbot London, presents a panel discussion around striving for professional fulfillment, as individuals, managers, and organizations. Lara Hogan, co-founder of Wherewithall, discusses finding her ideal job coaching and mentoring, evaluating for management alignment, what makes for a strong manager, the value of role-play, constructive feedback, and her upcoming book, "Resilient Management". Chelsea Moore, co-founder & CEO of BoxFox, discusses quickly going from idea to launch while doing everything from design to fulfillment in-house, their approach to growth, learning to say 'no', letting branding & social media evolve from itself, and reinforcing the human side of e-commerce. Gareth Burrowes, Co-Founder & Head of Product and Marketing at The Tech Connection, discusses employment screening focused on candidate strengths, removing unconscious bias from the hiring flow, and the importance of diversity at every level of a company. Siobhan Green, co-founder & CEO of Sonjara, discusses finding good tech solutions for organizations in the social-benefit space and developing countries, merging her passions for tech and international development, GDPR, and the ethics and security of various technological solutions. Natalie Nagele, Co-founder and CEO of Wildbit, discusses product updates, operating with more meaning and purpose, user research, bootstrap vs VC funding, and experiments in productivity (like a 4-day work week, turning off Slack, and strategies for remote work). Sam Clemens, Partner at Accomplice VC, discusses utilizing his product experience to nurture new companies, advice for where businesses should focus in various stages of growth, what should really be in an MVP, and his feelings around leaving a company as it's founder. Aatish Salvi, CTO of Teikametrics, discusses building a service for 3rd party Amazon sellers using data science, being wary of pre-mature optimization, integrating data engineering research into the team, and working with Amazon as both a partner and a competitor. Millie Blackwell, President & Co-founder of Showcase Workshop, discusses differences in business culture between California and New Zealand, pursuing tablets as a business tool early in the lifespan of the iPad, experimenting with SaaS pricing, and providing value to both enterprise buyers and end-users. David Kloba & Rob Meinhardt, Co-Founders of Furious Collective, discuss the mindset and methodology of their venture production studio, recount their adventures over the past year of growing FormKeep after having acquired it from thoughtbot, and offer advice to founders preparing to sell their product or company. Andrew Bialecki, CEO of Klaviyo, discusses building systems to process and get insight from business' data, scaling personality and humanity to mass communication, and translating customer feedback into concrete product improvement. Plus, the debut of 'Ask thoughtbot'! Yoav Shapira, an Engineering Manager at Facebook with a long history in Boston startups, discusses early technology choices for startups, balancing product needs/wants with technical limitations, the role of Capital-D 'Design', and common startup advice. Stephan Ango, Co-founder and Head of Product at Lumi, discusses merging creative and scientific mindsets in industrial design, the logistics of packaging, developing custom solutions by slowly replacing 3rd party tools, and building your ideal culture while balancing operational needs. Greg Storey, founder of Airbag Industries & Executive Director of Design at USAA, discusses the blurring of personal and company identity, helming a budding design group, "safe agile", what it means for design to 'have a seat at the table', and sustainable pace within an agency. Ram V. Iyer, Business Thinker & Professional Business Mentor at The Business Thinking Institute, discusses his internalization of business success/failure, having a 'business thinking' mindset, and distinguishing oneself through the value you can create. Chad is joined by Amy Webb, Professor at the Stern School of Business NYU and Founder & Quantitative Futurist at The Future Today Institute, to discuss distilling trends, incremental decision making, and the role of organizational management on the outcome of a company's future. On FormKeep, Ben runs an A/B test on trial length and adds a short onboarding survey, meanwhile wrapping up team signups and working on a content licensing deal for Upcase. Derrick reports back from his machine learning class, and discusses an issue in quality assurance testing. Derrick takes a solo retreat to reflect on new goals for Drip, and draws up preliminary plans for scaling team size / structure, as well as speeding up velocity through parallelism. Ben shares his experience with GrowthHackers Projects, hides the lowest plan and implements an automated annual upgrade reminder, pitches a content partnership for Upcase, considers a thoughtbot products bundle, and realizes a need for a mentor. Derrick considers learning a new language to be prepared for scaling Drip's optimization, and gives new details on the tech used to streamline queries for large accounts. Ben breaks down his post to finding the best candidate for product Head of Marketing, and pointers on developing an entrepreneur's mindset. Ben discusses the lessons of mimicked learning and tempering of judgmental thinking gleaned from a sports book, and muses on how to apply them to career advice. On Drip, faced with a mountain of catch-up work after the holiday, Derek confronts scalability. On Drip, Derrick launches a free tier, and utilizes credit card anti-fraud measures. Ben publicly launches FormLinter, pauses exploring new product ideas in favor of giving attention to existing ones, and starts to rebuild the product team. They also discuss the merits of remote vs in-person collaboration, the pros and cons of open offices, and dealing with interruptions from notifications and meetings. Sadly, Ben is stuck in hammock somewhere, and we are without a new episode this week. However, we would love you all to check out thoughtbot's newest podcast, interviewing inspirational designers, developers, and other makers in tech, The Laila & Brenda Show! Give their latest episode a listen here, and if you like it subscribe to their feed however you listen to podcasts! On Hound, Ben sends out announcements for pricing changes, questions when a decision is the "right" decision when it comes to customer feedback, and toys with per-seat pricing model feasibility. Derrick has a successful first week on-boarding the new dev-ops hire, offers Ben some advice on balancing features with price, and discusses some customer acquisition campaigns. Ben plans a camping trip, acquires a new Twitter account, releases his notes on giving great conference talks, and begins to tell users of Hound's new pricing. Derrick reacts to the announcement of Github Projects and what that means for Codetree, ships the new form design on Drip, and muses on the ramifications to Google's announced penalizing of intrusive mobile pop-ups. Derrick switches domains from getdrip.com to drip.co, begins to update the design of the Drip widget, and tries to find balance in his varying roles as CTO. Ben hands off the reins of Upcase, switches to a low-tech project management solution, and mixes work and personal todos. Fresh back from vacation, Ben shifts his attention to a Hound project, adding in tiered plans and pricing. Chris begins to build out a drip sequence for content recommendations, prepares to roll off to return to client work, and leaves us with some final reflections, takeaways, and lessons learned while on Upcase. Chris delves into marketing mode for the TDD course, removes more client-side analytics code, and starts redesigning the information architecture on Upcase. On FormKeep, Ben alerts users to site down-time, removes all pay-per-form logic from the codebase, and begins to set up trials sans credit-card. Ben receives some insight on customer referrals for FormKeep, applies his pricing philosophy to Hound, and realizes a personal blind-spot when it comes to customer satisfaction. On Upcase, Chris patches an automated follow-up messaging bug leading to enhanced focus on server-side analytics, welcomes Tyson to the team to begin work on trail mapping course content, and soft launches the Fundamentals of TDD trail. Ben rants about bad jokes on twitter, doesn't ship any improved activation features on FormKeep this week, irons out some bugs on FormLinter, and begins an ad campaign. Chris contemplates shifting Upcase's business model, and walks through the impetus driving this decision. Ben encounters a downed FormKeep and enables a monitoring service, completes the un-grandfathering process for accounts on old tiers, and begins work on improving activation flow. Chris sends out a survey to users and discovers a shift in the Upcase demographics. Chris digs into the causes for a MRR drop, discovering usage trends with seasonality; and in the process gets a clearer picture of Upcase's user base. Also, he welcome Geoff to the project, and begins a new marketing initiative driven by user testimonials. Ben welcomes Tyson onto team Formkeep to begin redesigning on boarding, and continues FormLinter improvements / marketing. This week, we ruminate on the meta-organization of project management. Ben embraces team feedback on FormLinter.com, reaches the end of Formkeep's grandfathered pricing window, and removes sandboxing to streamline plan structures. Chris contemplates Upcase's role as a product within thoughtbot, prepares to welcome on new team members (bye Gabe! ), and restructures topic relationships to improve discoverability. Also, the return of Dance Talk! On Formkeep, Ben launches FormLinter to increase form accessibility and conversions, and looks forward to additional persons on thoughtbot product work. Chris continues marketing of the Bourbon Smash course, wrestles with metrics and analytics, and improves team logins on Upcase. On Upcase, Chris releases the Bourbon course, restructures how new courses are highlighted, and discusses juggling the various factors that contribute to MRR. Ben takes on-boarding notes from a century old dance school to improve activation on Formkeep. Ben changes product activation flow, possibly for the worse, launches a new UI, and muses on new customer acquisition for Formkeep. On Upcase, Chris starts to see benefits from the domain transition, and brainstorms on how to un-bottleneck course releases. Chris transitions Upcase to thoughtbot.com/upcase for SEO and branding purposes, and introduces reactivate & resubscribe functionality. Ben publishes a blog post on Formkeep's pricing history, optimizes the initial form setup page, and begins work to implement a no credit card up-front trial. Ben switches from Mandrill to Sendgrid, turns a corner on his guarantee vs trial test, and begins the process of overhauling Formkeep's UI. Meanwhile, on Upcase, Chris utilizes an interesting method for A/B Testing, teases a secret project, and increases SEO by changing out the header. Ben and Chris muse on the nature of weather-related happiness. Also, Ben works on instrumenting Formkeep's activation funnel, utilizes a monitoring utility to optimize sign-up flow, and vows to almost certainly not toy with pricing any more. Meanwhile on Upcase, Chris confronts multiple root causes for a dip in MRR, updates content displays, and overhauls the checkout. Ben and Chris discuss taxes and financial (as well as bedtime) routines. On Upcase, Chris showcases "The Weekly Iteration" on the site, reveals a long-term dream for the platform, and patches a critical security issue. Ben adds a bunch of features to cut down on support requests, does some UX cleanup, and performs other general tasks to improve usability on Formkeep. Chris makes progress on Upcase's to-dos in order to shift focus to after-the-funnel improvements, and makes a renewed vow to talk to customers for direct feedback. Meanwhile, Ben attends a conference, and while he picked up some great strategies for Formkeep on-boarding, he mostly just wants to fix the airline industry. Ben decides to A/B test pricing, begins grandfathering existing customers to the new tiers, teases new features on Formkeep, and recounts some interesting customer interactions. Meanwhile, Chris drives conversions through e-mail and Twitter, identifies unique customer segments, and brings in more of the thoughtbot voice to Upcase. Ben welcomes SaaS growth and customer success pioneer Lincoln Murphy to discuss the true importance of providing value to existing customers and focusing on their success, as every tactic you undertake as a business is predicated on understanding their desired outcome. He also delves into how focusing on customer type is beneficial for both consumers and producers, as well as gives Ben some feedback about Formkeep. Ben accidentally launches a Vim course, debates a B2B vs B2C focus, and feels out different Formkeep pricing tiers. Chris welcomes back a handful of former subscribers to Upcase, continues to work on content production, and integrates relevant content into broader thoughtbot docs. Chris converts with email campaigns, lays out a time-table to churn out a ton of content, and tries to analyze a dip in revenue. Meanwhile, Ben tests the definition of what constitutes a "conference", focuses on how to enrich Formkeep for specific use cases, and makes headway on tiered pricing. Ben finalizes Formkeep's Ember removal, toys with the idea of manual on boarding, and positions himself to begin experimenting with plans and pricing. Meanwhile, Chris deals with credit card fraud, too many inodes on Upcase's server, and finishes the changes required to offer free videos. Chris gets a surprise while reviewing Upcase's Q4 profit & loss statement, gains some insight into e-mail marketing, wrestles with the added complexity of adding github auth-to-access, and brainstorms new community-driven projects. Meanwhile, Ben gets his hands dirty with Formkeep's Ember removal, is tempted by the siren's call of distraction, and gets an open review from the Bootstrapped Web podcast. Also, Chris does a live user-test of Formkeep's new user activation flow. Ben resolves to cut back on dashboard checkins, makes progress on Formkeep's Ember extraction, and struggles with product-market fit. Meanwhile, Chris tackles some analytics issues, opens up Upcase landing pages from behind the paywall to improve marketing and SEO, and steps up his marketing and social-media game. Chris tracks new members after the release of the new Mastering Git course from Upcase, launches a drip e-mail campaign to attract more members, and focuses on increased content output. Ben continues removing Ember from Formkeep, rethinks an activation sequence A/B test, conducts user tests to improve the checkout flow, and adopts a mindset of continuous improvement. As Ben transitions from Upcase to Formkeep, so too will the podcast transition to an open discussion around growing thoughtbot's internal projects and maintaining them as businesses, highlighting our hopes, experiments, tactics, failures, and success along the way! Today Ben and new co-host Chris discuss finding that magic feature or metric around which to structure pricing, selecting the right framework for your app, and customer acquisition tactics. Ben and Eric Normand of LispCast and PurelyFunctional.tv talk about the pros and cons of Haskell and Clojure, empathize on some of the pain points of running an educational coding platform, and hypothesize on how the next great programming "killer demo" will present itself. Ben talks with Steli Efti, CEO and Co-founder of Close, on maintaining energy and passion in speaking, why engineers make great sales people (and how they can be even better), and managing your emotions to be more productive and happy. Ben and fellow thoughtbotter Mike Burns take time out of their Summer Summit schedule to chat about launching offices, the art of classical code, and why Mike no longer loves Haskell. Ben and Samir Talwar of Codurance discuss the appeal of functional programming, mob programming, and a different take on conferences. As Giant Robots nears its 3 year anniversary, Ben welcomes back Chad Pytel to reflect on the highs and lows of the previous year at thoughtbot. 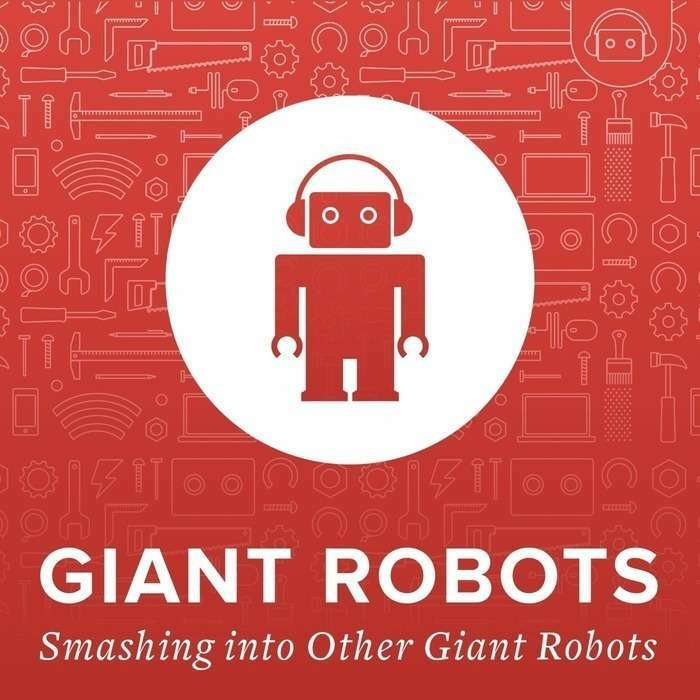 On this weeks Giant Robots Ben welcomes Adam Wiggins, Heroku co-founder and former CTO, to join as more of a guest host than guest. They discuss team size/structure, project scalability, the benefits of working abroad & self-maintenance best practices. In this week's episode, we're joined by Peter Reinhardt, Co-founder and CEO of Segment.io. Ben and Peter discuss the product, their tech stack, the companies big pivot to Segment.io, their growth and future plans. They also discuss leaving MIT to start a company, getting along with your co-founders, nuclear reactors, hiking, and much more. On this week's special episode, Chad Pytel turns the tables and interviews host Ben Orenstein. They discuss the process of running the podcast and Ben's roots in programming and computer science. Ben talks about his Vim mastery, how he got into public speaking, and his experiences speaking at RailsConf. This year Ben is organizing the live coding track at RailConf. Ben describes his strategies for learning programming, how he's getting into Clojure, and much more! In this week's episode, Ben Orenstein is joined by best selling author, Seth Godin. Seth describes himself as an entrepreneur, a blogger, and an agent of change. They discuss art, frustration, and the endless pursuit of perfection as an artist. In his newest book, The Icarus Deception, Seth discusses seeking art in your work and looking beyond standards and production. They talk about the importance of finding connections with other artists and people who can provide meaningful feedback. They discuss several of Seth's blog posts which are linked below, and much more. In this episode, Ben Orenstein is joined by Michael Klett, Co-founder and tech lead of Chargify. Ben and Michael discuss the evolution of Chargify and bumps along the way, underwear subscriptions, Michael’s transition from hardware to software, negativity in the Rails community, slow tests, and much more. In this episode, Ben Orenstein is joined by 17 year old Jack Kaufman, author of The Found a Business Book. Ben and Jack discuss Jack's inspiration for the book and how he got all his interviews, the other opportunities it's led too, the common themes he uncovered in his interviews, the differences between those who got funding and bootstrappers, working on the book while in highschool, marketing he's doing, his plans for the future, the issue with college computer science programs, his fears about the future, and much more. In this special episode, number 52, and our 1 year anniversary episode, recorded at RailsConf 2013, Ben Orenstein is joined by Ruby and Rails core team member Aaron Patterson, thoughtbot CTO Joe Ferris, and a live studio audience. The trio discuss Rails 4, observers, callbacks, dubstep, namespaces, Scheme, functional programming, thread safety in Rails, what it would take to remove callbacks from Rails and why you would want to do it, what should be in our anniversary episode, dealing with Rails security issues, why Aaron likes to work on Rails, meeting people's expectations, Vim, intuitive software, and so much more. On this week's show, recorded at RailsConf 2013, Ben Orenstein is joined by Sandi Metz, developer, author, podcaster, and recent Ruby Hero award winner. Ben and Sandi discuss winning awards, writing, whether notoriety changes who you are, what Sandi is proud of, the bad code she's writing and why, what she's doing now, getting real feedback on your work, that it's OK not to know everything, and much, much more. In this week's episode, recorded at RailsConf 2013, Ben Orenstein is joined by Jeff Casimir and Katrina Owen from Jumpstart Lab and gSchool to discuss performing, speaking, and imposter syndrome, preparing for your talk, and what makes a good talk and how to give one. The also discuss gSchool, the way the program works and they way it's guaranteed, teaching, admitting ignorance, how good practice should be harder than the real thing, and why Jeff didn't like studying Computer Science and why he didn't enjoy programming and how Rails reignited his passion for creating things, and much more. In this episode, recorded at RailsConf 2013, Ben Orenstein is joined by Jon Larkowski, closet hippie and developer at CareZone. Ben and Jon discuss being a closet hippie, transitioning from consulting to working on a startup/product team, ping-pong, paying attention to your habits and improving to your life, meditation, firewalling your attention, fostering a startup culture, imposter syndrome, podcasting, coffee, code review, guitar, and much more. Ben Orenstein is joined by Joe Kutner, programmer and author of ‘The Healthy Programmer’. Ben and Joe discuss how the demands of a development job lead to unhealthy habits, and ways to address the issues. They discuss specifics like standing desks, walking desks, the pomodoro technique, exercise, vitamin D, and much more. This week we try something a little different. Joe Ferris, Matt Jankowski, Ben Orenstein, and Chad Pytel get together and have a little fun, in what we're calling "Tiny Robots cuddling with other Tiny Robots". We'd love to get your thoughts on this special format, tweet us @thoughtbot or email learn@thoughtbot.com. thoughtbot's Ben Orenstein is joined by Scott Orn, venture capitalist at Lighthouse Capital Partners by day, and co-founder of Ben's Friends by night. Ben and Scott discuss building a community, the future of Ben's Friends, and how running the site helps him be a better VC, teaching people, and getting value out of giving back. They also talk about his work as a venture capitalist at Lighthouse, how the money flows, the freemium software model, why it's good and how it works, picking the winners, and how the market can affect success, and the companies Scott thinks are great investments, and where he thinks the market is going. This week, Ben Orenstein is joined by Peter Moldave, attorney at Gesmer Updegrove to discuss attorney client privilege, what not to do with email, the similarities between lawyers and programmers, how he got into law, his history with technology, and his time as a corporate lawyer at Apple. They also dig into how EULAs work, whether they are binding, whether you should be reading them, and how they can be enforced, software licensing, copyrights and the First-sale doctrine, patent law, software patents, and navigating the patent landscape. They also discuss how to view stock options in your startup job offer, working at startups, how to have a valuable career path, what your employer owns from your side projects or your work for them, how to manage liability in your startup, web site, app on the App Store, and side projects, the best corporate structure and much, much more. This week Ben Orenstein in joined by thoughtbot CEO, Chad Pytel, to discuss thoughbot's books, online and in-person training programs, other educational products, and the launch of thoughtbot's new subscription to everything they teach, Learn Prime. They also discuss some changes to apprentice.io, Five Guys, and much more! Ben is joined by Bryan Helmkamp, the founder of CodeClimate. 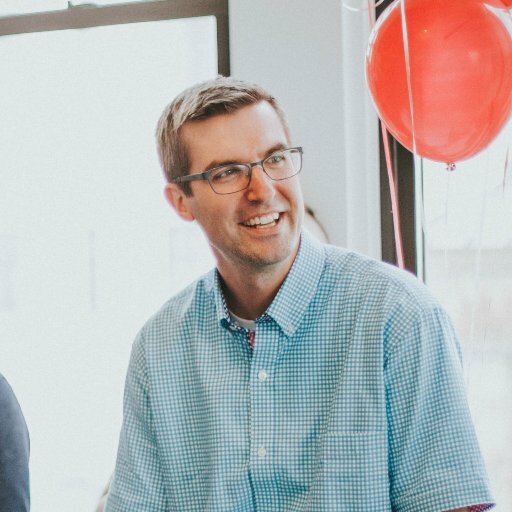 In Bryan's second appearance on the podcast, Ben and Bryan discuss the architecture behind CodeClimate, scaling the service, and growing the business. They also discuss speaking at conferences, proposal selection, two factor authentication and adding it to CodeClimate, marketing and content marketing, how to decide what to build and proving that it was worthwhile, strategies for testing at the beginning when you have few users, and Bryan reveals CodeClimate next big upcoming feature. Ben Orenstein is joined by Avdi Grimm, software developer, author, and podcaster. Ben and Avdi discuss Emacs, Avdi's personal assistant and delegating work. They also discuss naming and finding implicit concepts in your code, encoding processes as objects in their own right, his publishing and podcasting, the pronunciation of Parley, Ruby Tapas, education resources and the benefits of open source languages, his goals, the most civilized way to travel, and what we got wrong about the Law of Demeter. This week Ben Orenstein is joined by Nick Quaranto, developer at 37signals and one of the maintainers of RubyGems.org. Nick and Ben discuss the just released Basecamp iOS app, the architecture of the app, the origins of the app and how it became what it is today, and RubyMotion in general. They then move on to discuss the recent RubyGems.org cracking, the mechanism behind it, the process of restoring the service, and how it might affect RubyGems going forward. They then circle back to talk more about RubyMotion, testing, working at 37signals, CoworkBuffalo, OpenHack, and good coffee. Ben Orenstein is joined by Dennis Najjar CPA from AccountingDepartment.com. They discuss international companies operating in the United States, the tools of his trade, how AccountingDepartment.com is set up and what their different clients look like, and why it makes sense to outsource your bookkeeping and accounting. They also explore the checks and balances you should have in bookkeeping and accounting, the accounting departments role in an organization and 1099s their purpose, and what to do if you don't get one. In this week's episode, Ben Orenstein is joined by Steve Snyder, Entrepreneur in Residence at the law firm, Gesmer Updegrove LLP. Ben and Steve discuss Steve's history, his unique position at the law firm, mistakes to avoid, and advice and guidance to entrepreneurs just starting out. Ben Orenstein is joined this week by Daniel Jalkut, the developer of MarsEdit and other fine software. Ben and Daniel discuss the origin of Daniel's twitter username, his history at Apple and his work there, and how it influences what he builds today. They also discuss the challenges of running your own company, and how Daniel's priorities and rule systems help him get things done, how the success of MarsEdit takes up his attention at the exclusion of other ideas, and how he thinks about failure. Then then go on to talk about App Store versus direct sales, why Daniel still sells his software outside the app store as well as in it, and what the breakdown of sales are like there, as well as Daniel's thoughts on App Store pricing and the benefits of being in the app store. Finally, Daniel tells us why he thinks git is like a PC and Mercurial is like a Mac, why he dislikes git, what he thinks makes a good podcast, how his podcast has changed, and much more. This week Chad Pytel is joined by software developer, podcaster, and author, Brett Terpstra. Chad and Brett discuss Brett's work location and setup, his open source and commercial software projects, app store pricing, his publishing experience and workflow, and his podcast. They also discuss his keyboard and trackpad mappings, and much more. Ben Orenstein is joined by Gordon Fontenot and Matt Mongeau, two thoughtbot developers, to discuss iOS development using both Objective-C and RubyMotion. Ben, Matt, and Gordon talk about the differences between the two platforms for iOS development, testing in iOS development, the difficulty in it, and the ways to do it. They also make they're recommendations for getting started with iOS development, and discuss iOS apps they like, designing iOS applications, the iOS release cycle, and much more. Ben Orenstein is joined by David Heinemeier Hansson, the creator of Ruby on Rails and a partner at 37signals. David and Ben discuss David's normal day, his working relationship with Jason Fried, how their blog, Signal vs. Noise, is important to the company, how he got into programming, where he draws his inspiration from, some good books he's read and how he learns today, how he overcomes fear and why he takes risks, how he got into racing, why he enjoys it, what he learns from it, and how feedback loops and goal posts help you learn, inspire you, and help you know how good you are. They then go on to explore what David would, or wouldn't, change about Rails, and how he sees Rails evolving into the future. David also talks a little bit about the new product 37signals has in development, and 37signals' overall product strategy, coding at 37signals and his approach to providing guidance to the team, what role he plays on Rails core, what he cares about, and what he pays attention to, and much, much more. Ben Orenstein is joined by Joe Ferris, CTO of thoughtbot. Inspired by a question on Law of Demeter from listener Nathan Long, Joe and Ben (hopefully) answer Nathan's question, and then go on to discuss how the Law of Demeter is a form of duplication, how it effects testing, and how to better architect your report, your view, or your entire system to better obey the Law of Demeter. They also touch upon Rails' try method, how the pain of testing helps guide the code you write, where the Law of Demeter doesn't apply, how people don't refactor their tests, how to productively refactor your tests and avoid wasting time rewriting things, and much more. Ben Orenstein is joined by Gary Berhardt from Destroy All Software Screencasts. Ben and Gary discuss DAS, how it has changed over the two years he's been doing it, and how his thinking has changed over that time. They then discuss Gary's thoughts on how to write software and tests, how we wants to "fix the kernel", and his exciting plans for the future. They also discuss his background, the production process behind Destroy All Software, and much, much more. Ben Orenstein is joined by Alex Godin from dispatch.io. Ben and Alex discuss Alex's hectic time in both apprentice.io and TechStars, how he got started at his age, what he's accomplished so far, what he worries about, when he is happiest, and his outlook on the future. Ben Orenstein is joined by Sarah Mei, RailsBridge co-founder, a developer at Pivotal Labs, and Diaspora core team member. In this episode, recorded at RubyConf 2012, Ben and Sarah discuss how communication patterns of your team manifest themselves in the code it writes, and how understanding those patterns can help you improve your code. They discuss RailsBridge, teaching, how teaching is an incredible learning opportunity, and how RailsBridge has helped expand the community of women developers in San Francisco and beyond. Finally, they explore how she got into Ruby, and women in technology. Ben Orenstein is joined by Tammer Saleh and Randall Thomas, the founders of Thunderbolt Labs. In this episode, recorded at RubyConf 2012, they discuss their philosophy of running and building the company, how they differ from other consulting companies, and how they do much more than just Rails programming and how its leading to very interesting new kinds of work. Why they list their prices right on their website, and how they derived their rate of $277 per hour. They also explore what their first year in business has been like, some challenges they've faced, and some important lessons they've learned. Ben Orenstein is joined by Bryan Helmkamp, founder of Code Climate, hosted software metrics for Ruby apps. In this episode, recorded at RubyConf 2012, they discuss what code climate is, how Bryan considers it a small business not a startup, and what its like being a solo founder. They also discuss how code metrics can help you write and maintain better software, how it helps, and how it changes behavior. Finally they explore what the biggest surprise for him has been so far, some of his plans, and what success looks like for him. Ben Orenstein is joined by Jim Gay, author of Clean Ruby, and Joe Ferris, CTO of thoughtbot, in the episode recorded at RubyConf 2012. Ben, Joe, and Jim discuss Data, Context and Interaction (DCI), what it is, whether it is at odds with Object-Oriented Programming, how it can be applied to your applications, and much more. Ben Orenstein is joined by Aaron Patterson, Ruby Core team member, Rails Core team member, and a Señior Software Engineer at AT&T Interactive. Aaron and Ben discuss the upcoming features and excitement for Ruby 2.0 and some things Aaron would like to see in Ruby in the future that didn't quite make it into Ruby 2.0. They also discuss how the Rails Core team differs from the Ruby Core team, how much effort it takes to write a detailed blog post and how many mistakes are involved, how he likes being a ruby celebrity, his involvement in Seattle.rb and what it teaches him. Finally, how awesome his job is and how he could do it forever, how he worries about Ruby or Rails becoming irrelevant and wants to stop that from happening, how he is happy all the time, and if he could wave a magic wand and change one thing about Rails, what it would be. This and so much more in this entertaining episode recorded at RubyConf 2012. Ben Orenstein is joined by Kyle Fiedler, a designer at thoughtbot, and one of the creators of Bourbon Neat. Ben and Kyle discuss responsive design, what it is, and how to implement it. They also discuss Bourbon (a library of Sass mixins) and Neat (a fluid grid framework based on Bourbon), what's wrong with Twitter Bootstrap and why Bourbon Neat is better, and the other reasons why Bourbon Neat was created despite all the other grid frameworks that are available. Kyle shares the most common design mistakes he sees developers make in projects, whether or not design is subjective or whether it can be more objective, his design process and how it has changed, what the Golden Ratio is, and how it's used in Neat. Finally, they also discuss the Design for Developers workshop offered by thoughtbot, which teaches the fundamental design principles and tools to developers, and much, much more. Ben Orenstein is joined by William Josephson and Jay Moorthi from Solano Labs, the makers of tddium, the hosted, scalable continuous integration service. They discuss the architecture of the service, including how they're using Go to speed up parts of it, the surprises they've had in getting started, how they've gotten involved in the Ruby community, and how they validated their idea and get feedback from customers. Also, their experience working with thoughtbot, what has worked and not worked for driving public customers to the site and converting them, dealing with privacy, customer support, their goals and their growth plans, and much more. Ben Orenstein is joined by Seth Priebatsch, creator of SCVNGR and LevelUp. Ben and Seth talk about LevelUp, how it got started, how they make money, and what the future holds. They also discuss his daily schedule, maintaining focus, what he worries about, how your motives can limit your success, how to change the world by choosing the right thing to change, why he stopped hiding doubt and started being more transparent, and much, much more, including the most interesting question he's never been asked. Ben Orenstein is joined by Prem Sichanugrist, a developer at thoughtbot and the #31 top Rails contributor. Ben and Prem walk through the major changes that will be introduced in Rails 4, including strong parameters, the new built in queue, cache_digest, changes in ActiveRecord::Relation, and ActiveResource. The also discuss what people can do to ease contribution and issue submission to Rails, how can people get their first commit into Rails, and much more. Ben Orenstein is joined by Joe Ferris, CTO of thoughtbot, and Josh Clayton, developer at thoughtbot and the lead maintainer of FactoryGirl. In this Rails focused episode, Ben, Joe, and Josh dish on ActiveRecord callbacks, observers, state machines, and before_filters vs. middleware. They discuss the good, the bad, and the ugly of each, and how to keep your app clean while doing the right thing. Then they touch on what's new in FactoryGirl, how using build_stubbed can speed up your test suite, and much more. Ben Orenstein is joined by Matt Jankowski, COO of thoughtbot. Ben and Matt start off by talking about how Matt came to join thoughtbot and his role at the company. They then discuss the typical thoughtbot sales process. How all problems are communication problems. How the way thoughtbot works is appealing to startups and how they hear about thoughtbot. How thoughtbot handles its 20% investment time in open source and our own products, how we preserve that despite trying to grow the business, and how that has evolved over time. The reasons why it's not always possible to work faster by increasing the team size. Goals, metrics, and things thoughtbot can do better. Plus, how project management techniques translate to child-rearing, his standing desk, and much more. Ben Orenstein is joined by Sean Cribbs, Software Engineer at Basho, the makers of Riak. Ben and Sean start off discussing the interesting overlap of programmers and musicians and why it seems to happen so much. They then discuss Sean's role at Basho, what Riak is, how it works, and how it differs from other NoSQL databases. Sean works remotely for Basho, which has several offices, so Ben and Sean discuss remote workers and remote offices, and the ins and outs of navigating that set up, and how he got paid to work on open source. Finally, they discuss Erlang, which most of Riak is written in. These topics, plus much more. 10: Isn't the last stage of grieving acceptance? Ben Orenstein is joined by Joe Ferris and Mike Burns. They start off with some recommendations for awesome programming books and then dive right in to questions about not following "Tell don't ask" in the view, how MVC and the Single Responsibility Principle may be at odds with "Tell don't ask" in the view, and what a more object oriented approach may look like. They also discuss "Class-oriented programming", what it is, why it is bad, how Rails does it, and how to avoid it. They take a quick trip through Mike's experiments in Ruby and Smalltalk in creating his own programming language. The three codecateers then take on the really important topic of method order and code organization, and finally they reflect on how their code has changed over the years, how no solution is foolproof, and how to move to the next level as a programmer. These topics and more, in this installment of the GIANT ROBOTS SMASHING INTO OTHER GIANT ROBOTS podcast! Ben Orenstein is joined by Chad Pytel, the CEO and Founder of thoughtbot. Ben and Chad talk about the history of thoughtbot, success, failures, lessons learned, the current growth plans for the company, and much more. They also answer listener questions about hiring, growing, balancing client and internal work like open source and products, and contractor rates and how to set them. Ben Orenstein is joined by Gabe Berke-Williams and Edward Loveall. Gabe is developer at thoughtbot and the product manager of the thoughtbot apprenticeship program, apprentice.io. Edward is a current design apprentice. Gabe, Edward, and Ben talk about apprentice.io, how it works, it's successes, and lessons learned. They also discuss how Gabe goes about mentoring new developers, and effective learning and teaching methods. Edward also gives his perspective on his apprenticeship how it went, his typical day as an apprentice, his advice for incoming apprentices, and much more. Ben Orenstein is once again joined by Joe Ferris, CTO of thoughtbot. Joe and Ben dive right in to a technical discussion about Objects versus Structures. They then discuss what Joe does as the new CTO of thoughtbot, and how his goal is to set up a system where everybody is teaching everybody. Finally, they discuss why Joe doesn't like using rspec's let and subject, and his strategy for writing tests without them. Ben Orenstein is joined by Dan Powell, founder of Abakas. Dan plays the role of Consulting CTO for his clients. They discuss the best and the worst of his job, his history as a Linux hacker, and what his experience has taught him about technology and technology trends, and how he stays on top of them. Also, how to create effective, well-written, maintainable software, the Rails talent crunch, developers getting promoted to management, maintaining work-life balance and how not to get burnt out, and much, much more. Ben Orenstein is joined by David Thyresson, the founder of Stattleship and a past client of thoughtbot. Ben and David discuss how he got started with Stattleship, how he came to work with thoughtbot, and what it was like to work with us. Also, how the idea of what he would initially build changed, and how through agile software development he discovered how it was wrong. How he learned Ruby on Rails from thoughtbot during his project. Finally, what has worked for driving visitors to the site, and important lessons learned about starting up, building an app, and running a business. Ben Orenstein is joined by Josh Clayton, the maintainer of FactoryGirl, and a developer at thoughtbot. Ben and Josh discuss FactoryGirl: using it, its development progress, and features. What it's like to run an open source project, and how to contribute to open source effectively. Looking at your old code and being a better developer. Approaches to testing. And answer your questions about: FactoryGirl, How to write effective tests suites and whether integration tests are a scam, our process for upgrading between Rails versions, testing complex UI logic, and leaving code untested. Ben Orenstein is joined this week by Phil LaPier, the creator of Bourbon and a designer at thoughtbot. Ben and Phil discuss the design process, fundamentals of visual design, common design errors, and how to be a better designer (even if you're a developer), and how to work with designers as a developer. They also answer some audience questions about design: How to handle feedback from clients, and HAML vs. HTML. Ben Orenstein and Joe Ferris (and the surprise special guest Seana Quental) start the series off with a very technical discussion about Polymorphism vs. Conditionals. We also answer some of the audience questions we asked for last week.